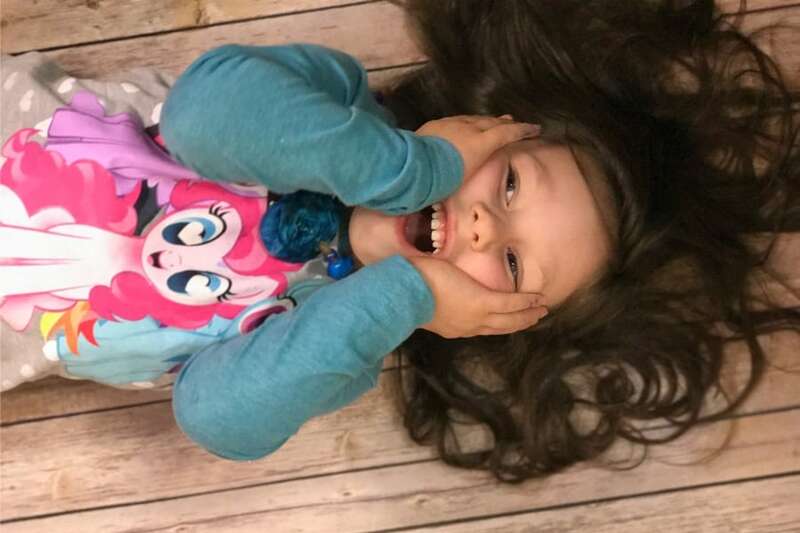 My kids LOVE the movie, Moana. I have to admit, of all the things my kids have me watching on repeat or listening to the soundtrack for, it’s one that I kind of enjoy. 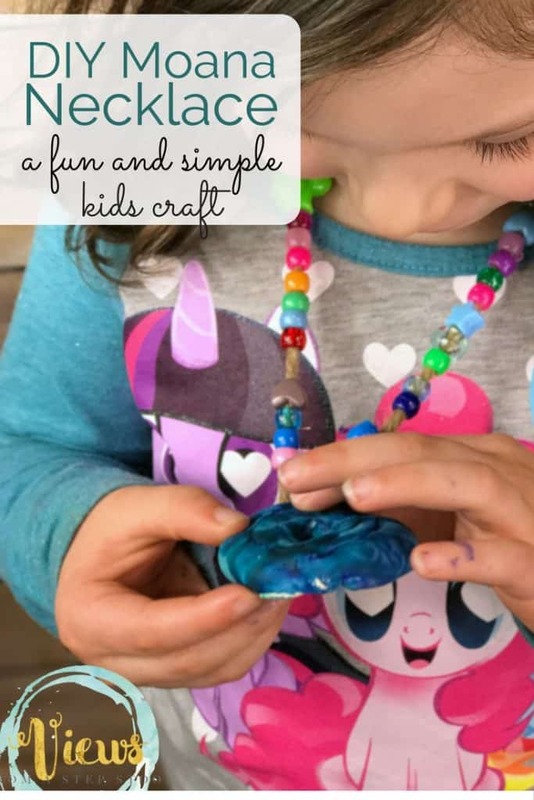 This simple DIY Moana necklace was a really fun ‘Mommy and Me’ craft for my daughter and I to do together. 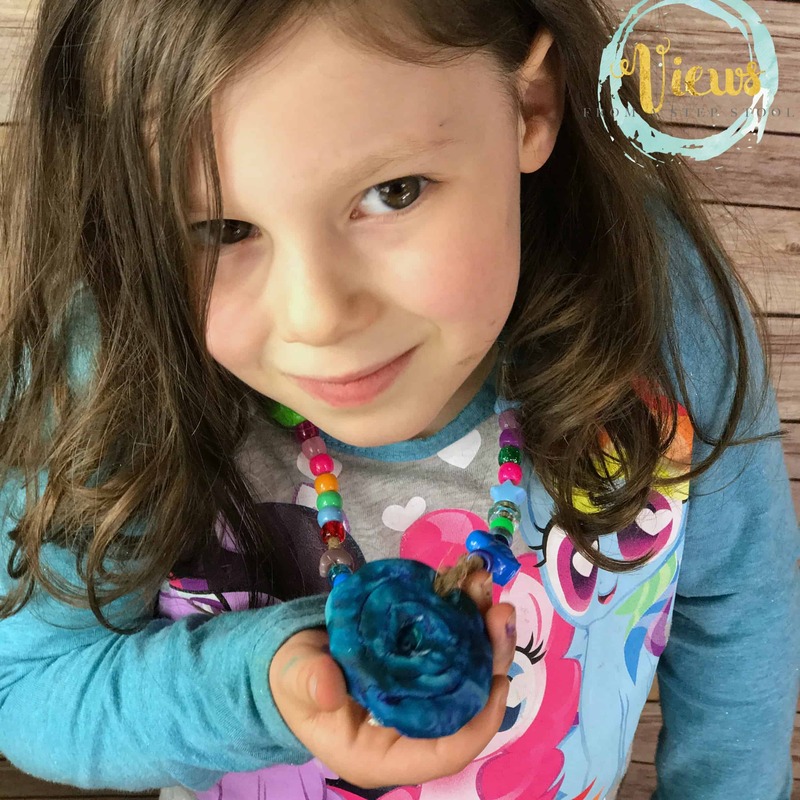 We made matching necklaces with our own spin on each, mine simple and understated…hers not so much 🙂 Grab your materials and make Moana’s necklace too! Take a round ball of the Model Magic and flatten it into a circle. Using the hard end of the paintbrush, carve the Moana swirl into the clay. 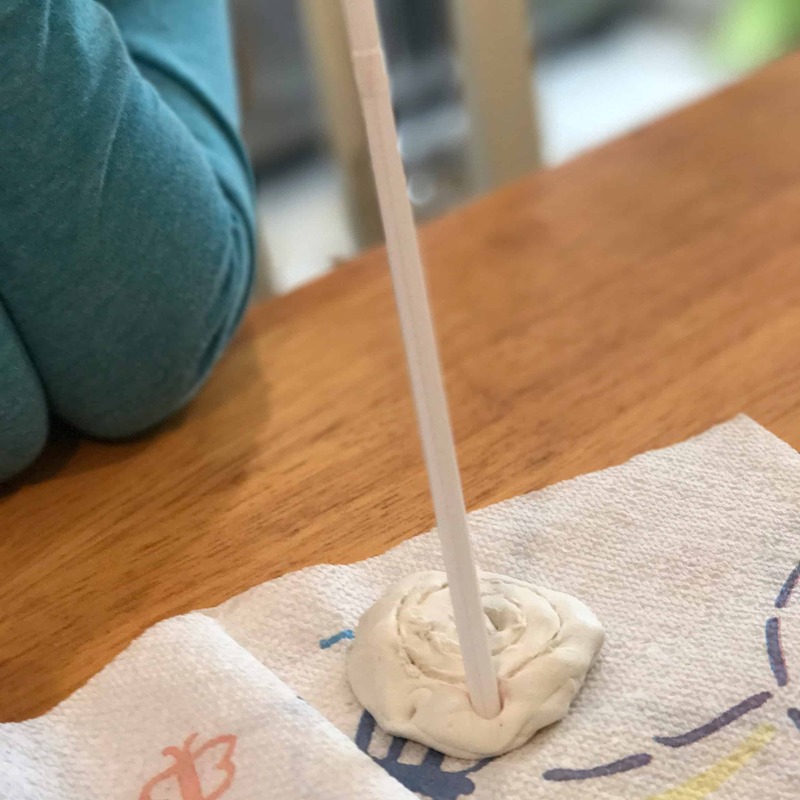 Poke a hole for the string using a straw. 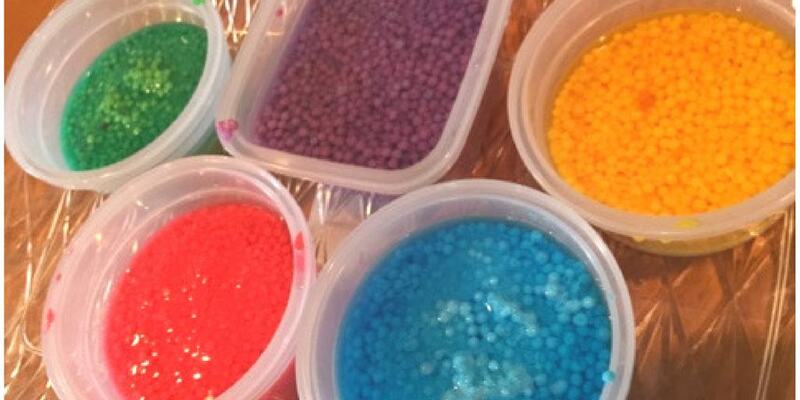 Paint the clay with the different colors, coming up with whatever creation you like! You could choose to use colored Model Magic instead and skip the painting part, I bet a couple of colors swirled together would be beautiful! String breads onto the twine or yarn. I chose just a couple of plain white beads for my necklace, whereas my 3 year old opted to string a TON of colorful beads onto hers. This was great fine motor practice! 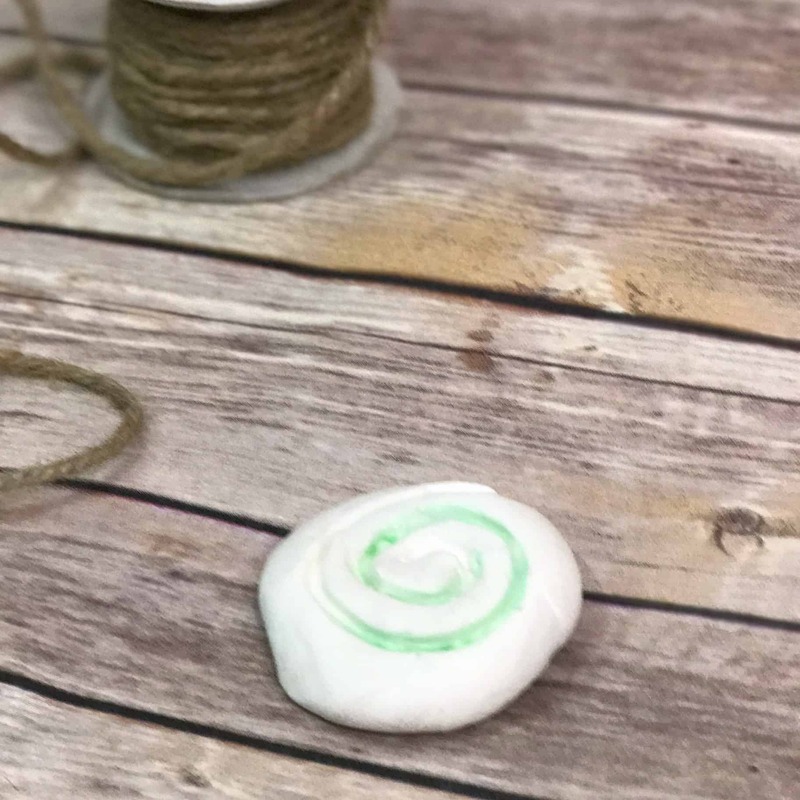 Add the clay ‘Heart of Te’Fiti’ to the middle of the beads and let dry overnight! 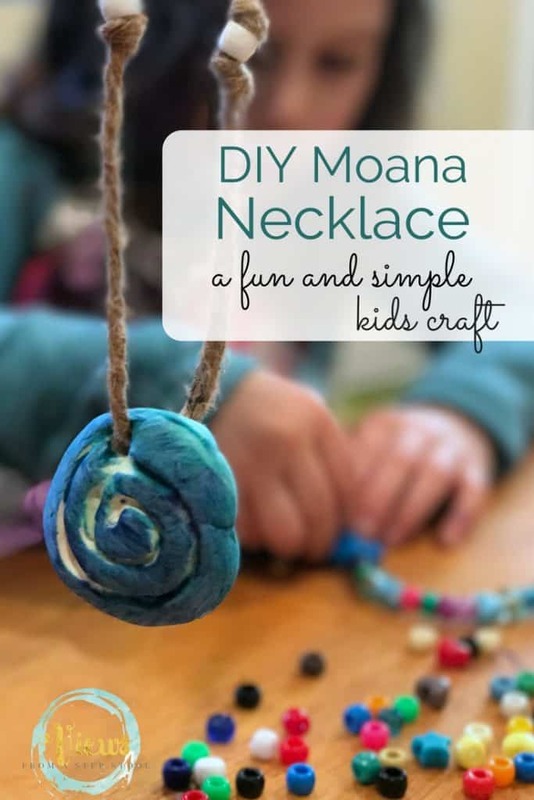 Then your little Moana can dress up with the DIY Moana necklace to their heart’s delight! I just LOVE how they turned out! 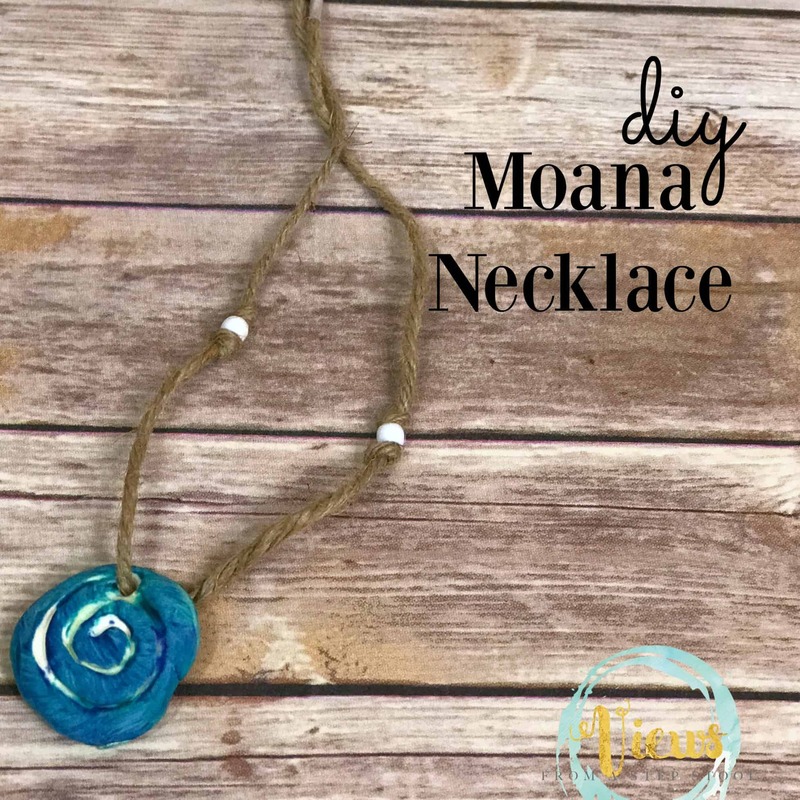 Have fun making your own DIY Moana necklace! 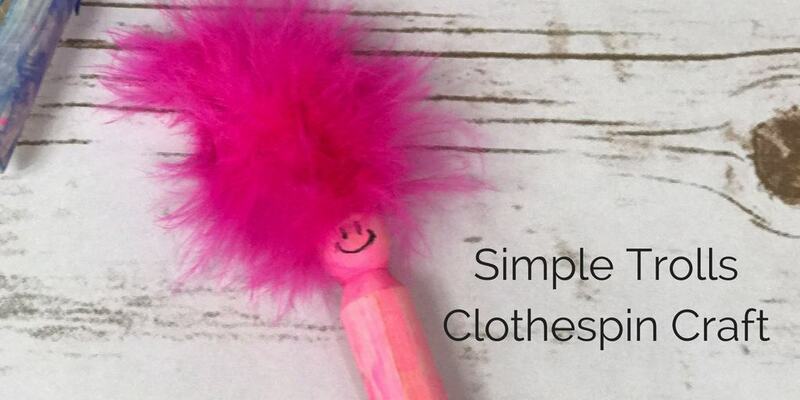 10 Trolls Treats Your Kids Will Love! Could you make the heart ahead of time? Then on the party day, they them paint? 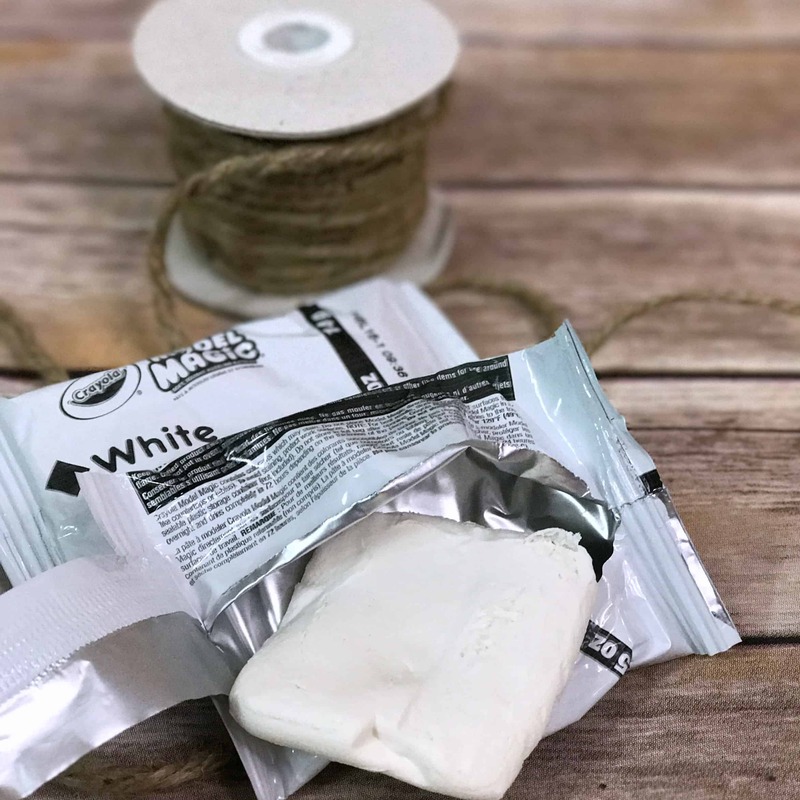 Or do you need the paint to dry with the clay? I haven’t tried it this way I would imagine it would definitely still work. I’m not sure how old the children are- but if you use acrylic paint (which isn’t washable) and spray with a sealer it should definitely stay. Just be sure to make the hole in the pendant before the clay dries. Enjoy! 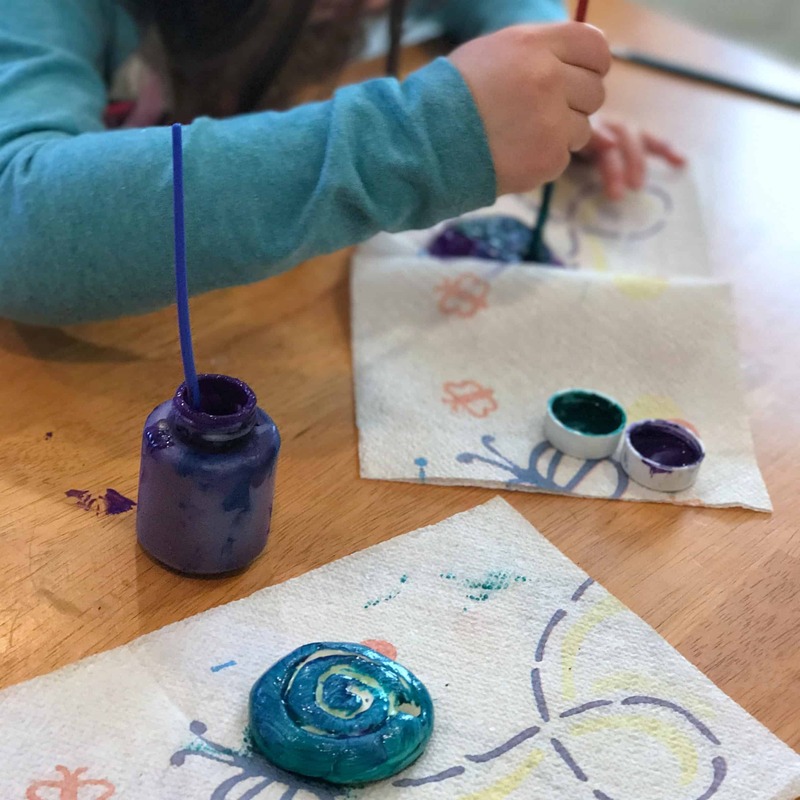 SHe is turning 5. so the arcylic paint should be ok.Just trying to think of a way to make it easier, otherwise i am going to end up making all 10 during the party. She is insisting on making heart of ti fiti necklaces. How fun! 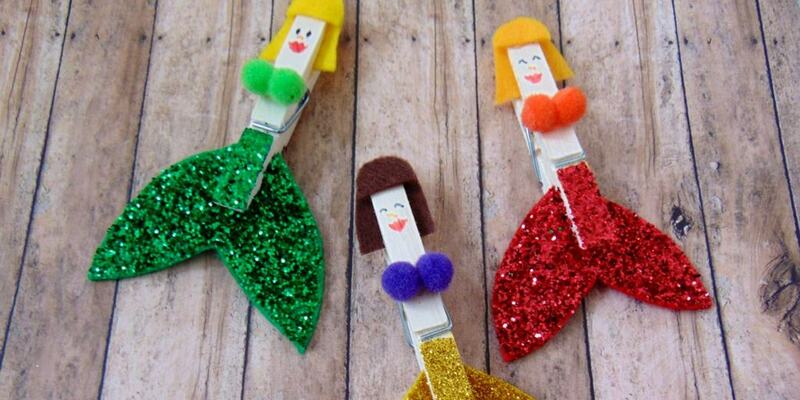 These should be perfect then 🙂 you can get acrylic paint in strips of little pods too with small brushes – have fun! oh that would be perfect. thanks so much! and thanks, pinterest!